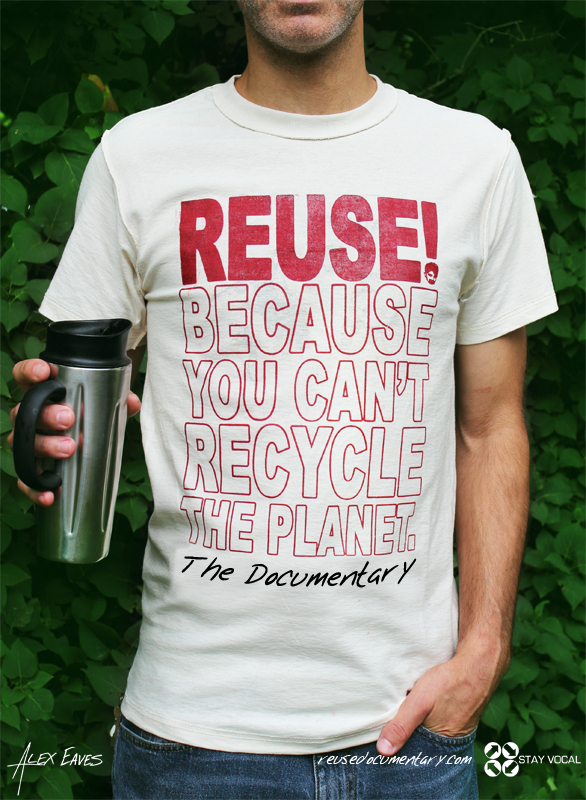 This Limited Edition T-Shirt helps fund the REUSE! Box Truck and resulting documentary film. It features the names of 46 people who chose the T-Shirt reward from our crowdfunding campaign. This T-Shirt helps fund the REUSE! Box Truck and resulting documentary film.